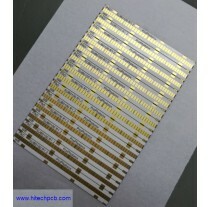 Hitech Circuits Co., Limited offers ceramic PCB for yourprinted circuit boards needs. 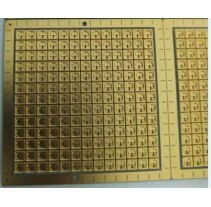 Many users of printed circuit boards find ceramicPCBs have an advantage over traditional boards made of other materials. This is because they provide suitable substrates for electronic circuits that have a high thermal conductivity and a low expansion coefficient (CTE). 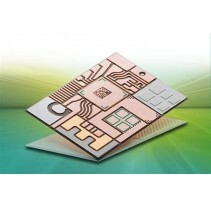 The multilayer ceramic PCB is extremely versatile and can replace a complete traditional printed circuit board with a less complex design and increased performance. 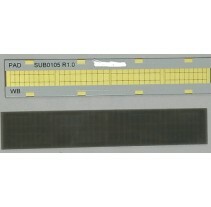 You can use them for high-power circuits, chip-on-board modules, proximity sensors and more. Besides its enviable thermal properties and expansion coefficient, ceramic boards work at operating temperatures up to 350 degrees Celsius, create a smaller package size, offer better high-frequency performance and can come in hermetic packages for no water absorption. 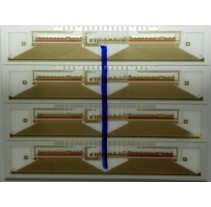 Using ceramic PCBs can also result in a lower overall system cost and be especially cost-effective for dense packages, since you have parallel processing of layers. If you want to use PCB in high pressure, high insulation, high frequency, high temperature, and high reliable and minor volume electronic products, then Ceramic PCB will be your best choice. 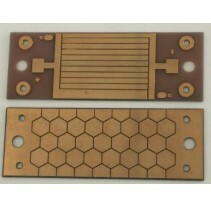 When you are looking for substrates for electronic circuits with a high thermal conductivity and a low expansion coefficient (CTE), ceramic PCB will be your preferred choice of material. Today ceramics are already widely used as substrates in many microelectronic components and power LED packages and more and more they are replacing entire printed circuit boards reducing complexity in design and manufacturing while increasing performance. Examples are Chip-on-board (COB) modules, High power circuits, proximity sensors, battery drivers for EVs, etc. 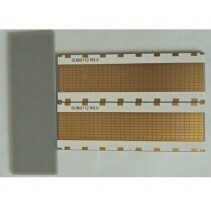 Ceramic PCBs are usually made up of metal cores. For high thermal conductivity, aluminum nitride boards are ideal, providing greater than 150 w/mK. Since aluminum nitride boards are expensive, however, those opting for less expensive ceramic PCBs may find themselves with aluminum oxide boards, which offer about 18-36 w/mK. Both types will provide better thermal performance than metal core printed circuit boards, because there is no need for an electric layer between the core and the circuits. Using silver for the printing traces — covered with glass for protection — will further increase thermal conductivity (406 W/mK). 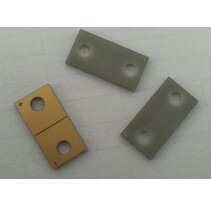 Other ceramic material options include boron nitride, beryllium oxide and silicon carbide. Ceramic boards are not finished with OSP, HASL or other traditional surface finishes because of the high operational temperatures. 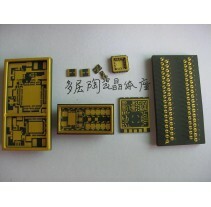 However, you can get your ceramic printed circuit boards with gold plating to protect the exposed pads if silver corrosion may be a problem, such as in high sulfur environments. 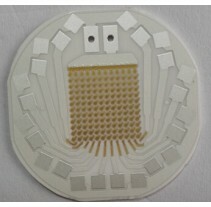 High ceramic PCB thermal conductivity is probably the leading reason more industries are turning to ceramics in their printed circuit boards and packages, as this material has a clear edge over plastics in this regard. Better CTE matching and hermetic sealing only add to the appeal of these materials. The challenge is that these materials, and the boards your ceramic PCB manufacturer makes from them, are considerably more expensive than materials for traditional printed circuit boards, which can add up significantly over the length of a high-volume job. However, the benefits of ceramic boards and the need for heightened thermal conductivity is so great, any company in a relevant industry that can afford to use ceramic boards will probably do so out of necessity. While we can have an estimate of the level of thermal conductivity each ceramic board can provide, the final values will vary depending upon the manufacturing process, in addition to grain size and composition. We can offer a range of values that experts seem to agree upon. Thermal conductivity for one of the most popular, although expensive ceramics — aluminum nitride — is one that many identify as over 150 W/mK, usually around 180 W/mK. However, studies find values ranging all the way from 80 W/mK to 200 W/mK at room temperature, with values dropping by more than one-third as you approach 100 degrees Celsius. Other thermal ranges we can identify at room temperature include 18-36 W/mK for aluminum oxide, 184 to 300 for beryllium oxide, 15 to 600 for boron nitride and 70-210 for silicon carbide. Because the variations are so wide, it is difficult to pin down actual thermal conductivity numbers. Your best approach will be to do your own testing, record the values you obtain and use those in your future calculations. For ceramic printed circuit boards, metal core PCBs, flexible circuit boards or other PCB products, Hitech Circuits Co., Limited is the company to contact. Our commitment to quality assurance and customer service are unparalleled, and we have the facilities and experience to be your only printed circuit board supplier. We offer no minimum orders and prompt delivery.